I'm kind of obsessed with these acai bowls. (Pronounced ah-sigh-ee.) 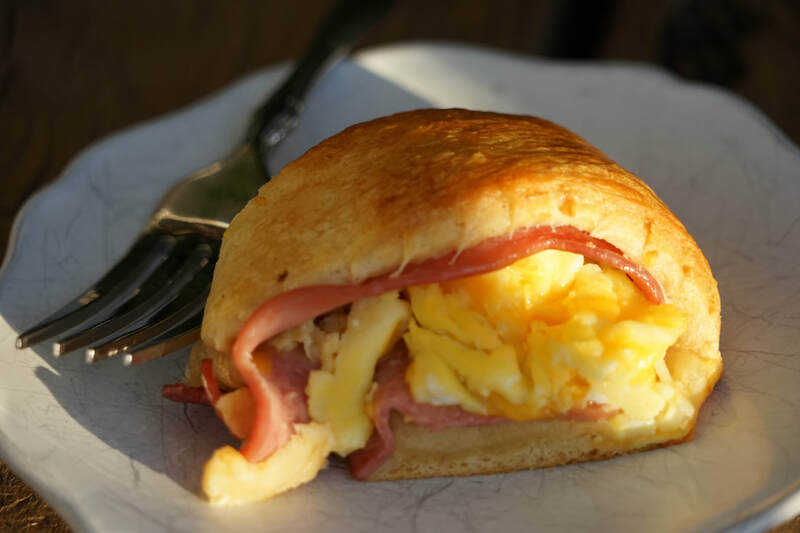 I had my very first introduction to these amazing little breakfast treats at the Little Fish Coffee Company on the island of Kauai. To be perfectly honest, when we stumbled upon this delightful little food truck inspired trailer, we didn't really know what to order, so we optimistically ordered 2 of the most popular bowls listed on the hand written chalkboard menu. I don't know what I was expecting but it certainly wasn't the cold, sweet, soft-serve consistency fruit mixture in the bottom of a giant bowl overflowing with fresh fruit. 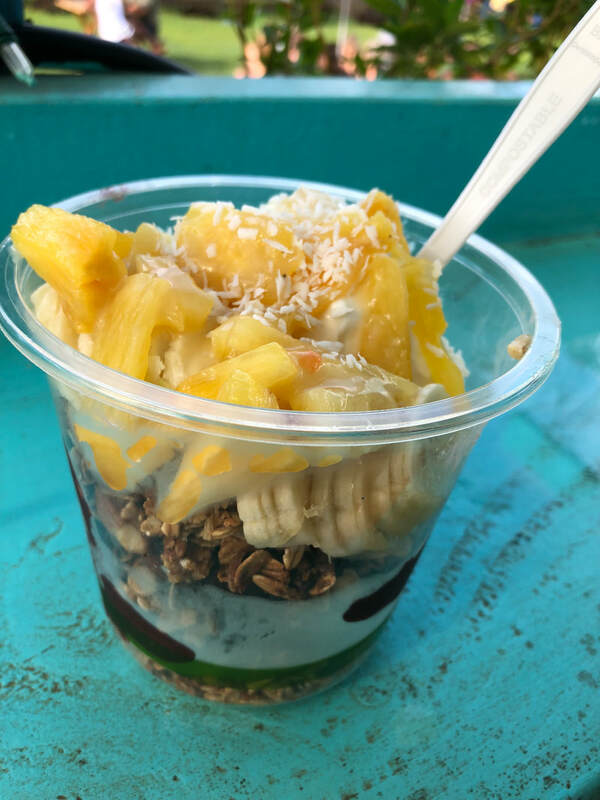 It probably had something to due with the fact that we were sitting on the cutest little outdoor patio and breathing in the sweet Hawaiian air but I fell in love with acai from the very first bite. 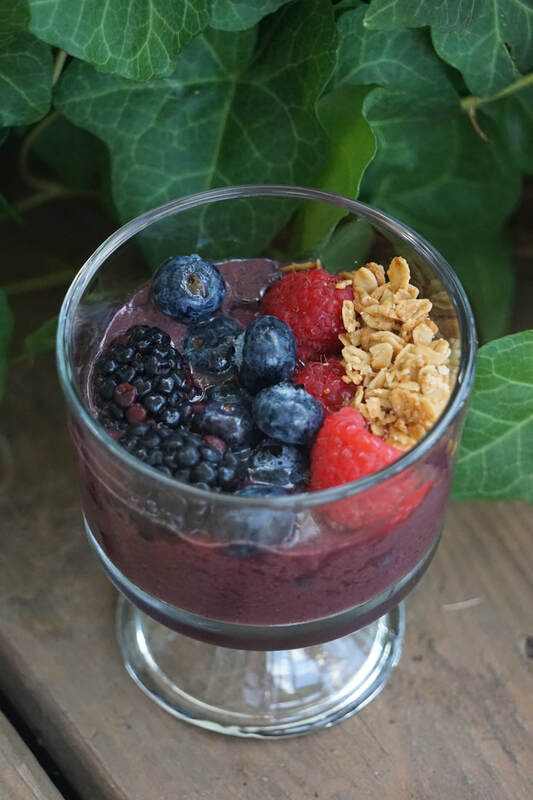 Recreating these delicious acai bowls at home wasn't going to be easy. For starters, there's the undeniable flavor of fresh Hawaiian fruit that I just can't capture in Georgia. 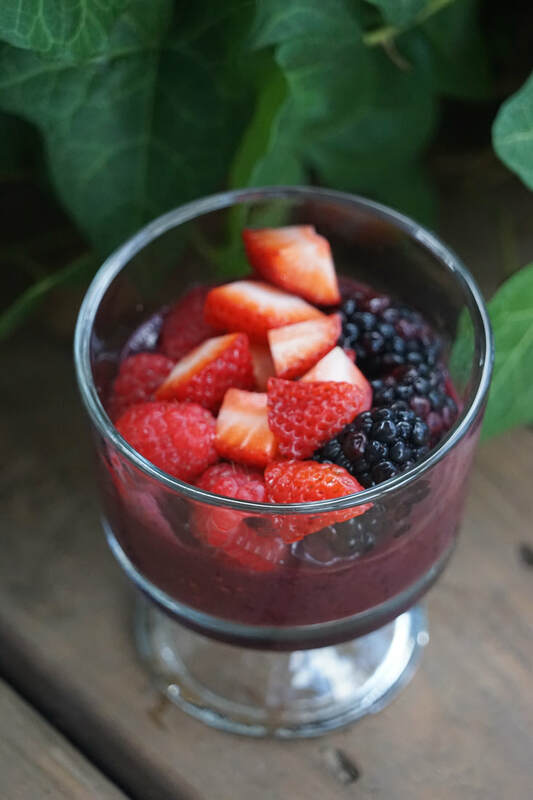 Then there was also the matter of trying to dissect the crunchy granola that was used as a barrier between the frozen acai and the fresh fruit. I thought that the acia was going to be the easy part due to the fact that it's readily available in the freezer section of most grocery stores. 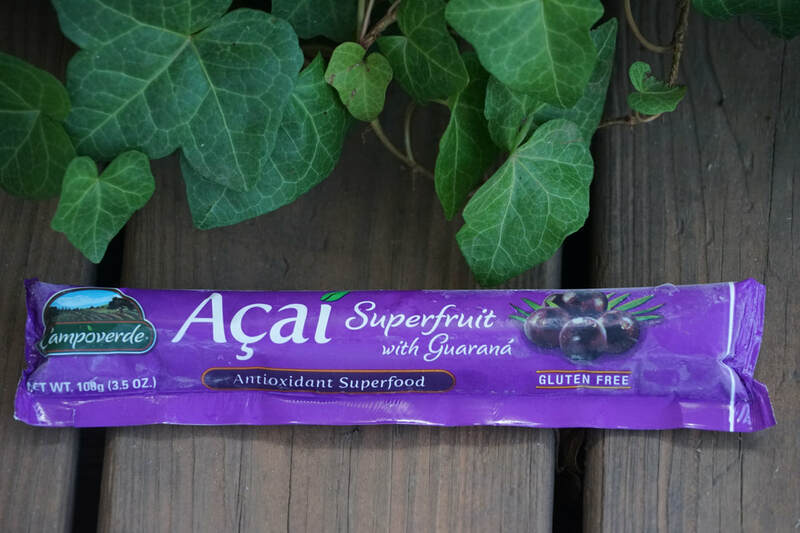 The truth is - getting the acai the right consistency proved to be a challenge. I had trouble defrosting it to soft serve consistency without over melting it. 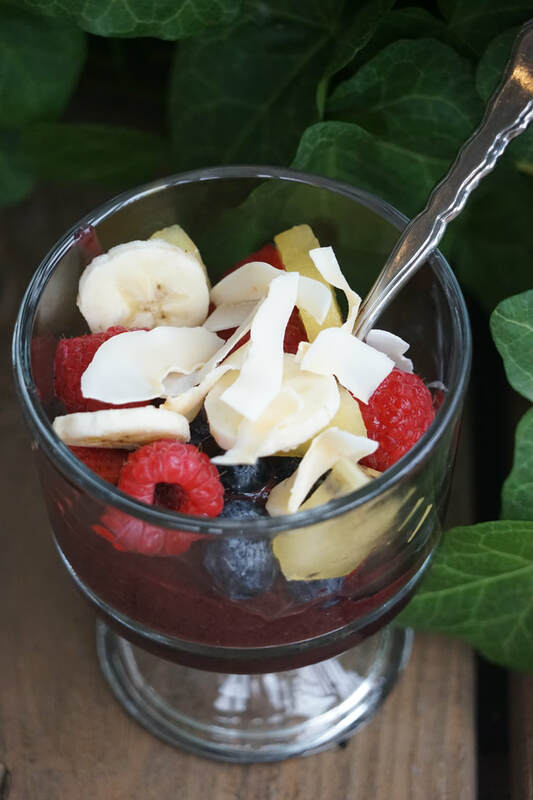 I am still working on perfecting my acai bowls but I've got to say - we've totally enjoyed the process. Finding new ways to top these little treats is has been a real treat. 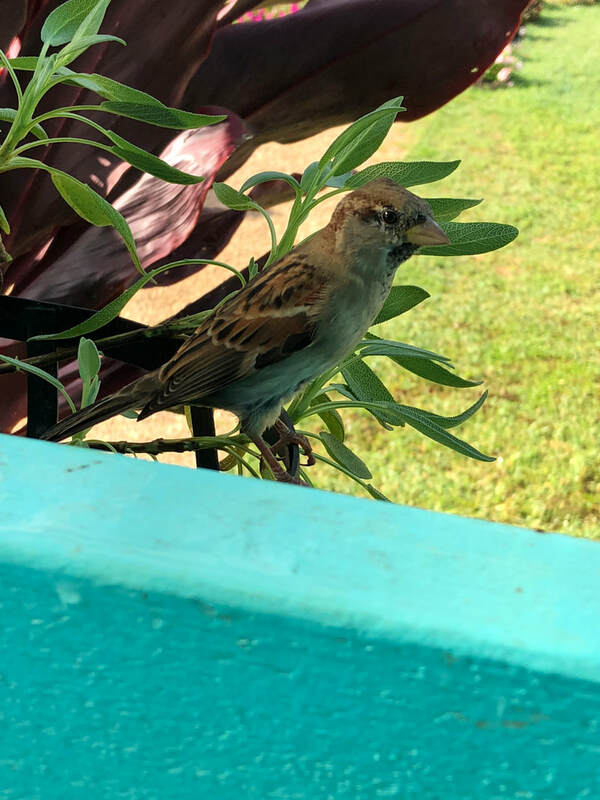 This sweet little bird was perched on a branch just across from our table and kept us company while we enjoyed our breakfast bowls. 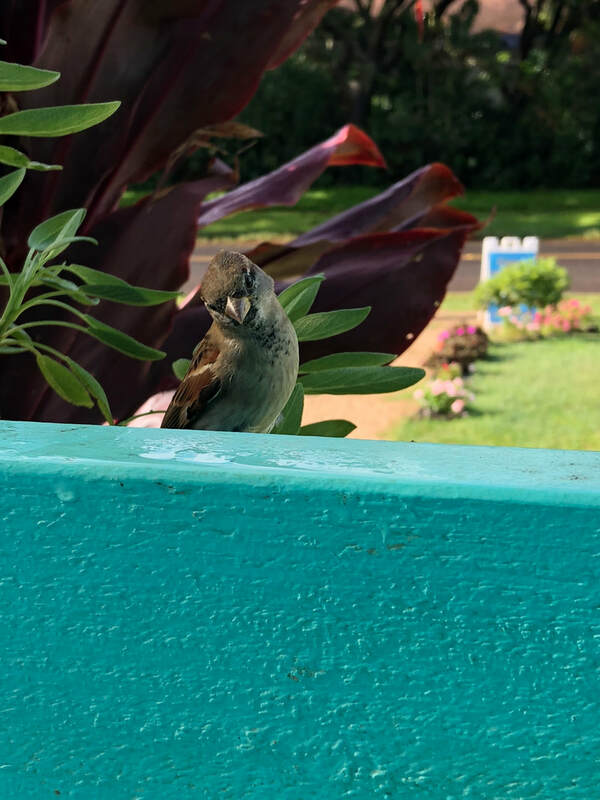 I'm pretty sure he was patiently waiting for us to drop some of our granola on the table but none the less, we enjoyed his undivided attention. 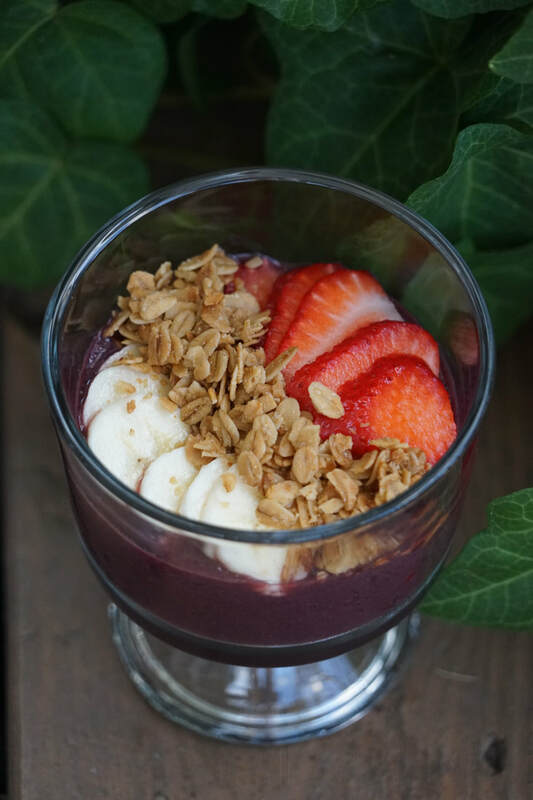 Seven months after we first tasted the delicious acai bowls in Hawaii - my quest to recreate them continues. 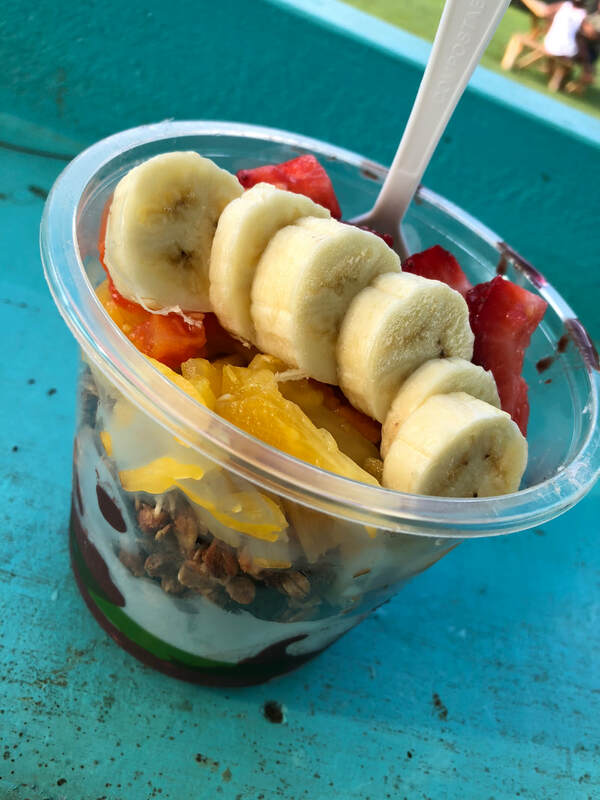 I honestly don't think that I've even come close the acai in Hawaii but I've enjoyed every single attempt - even the overly defrosted versions. 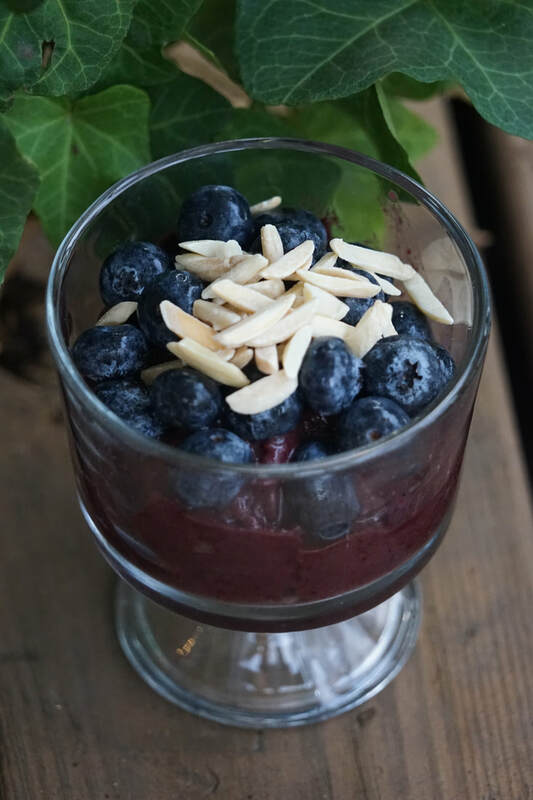 If you've got some acai tips for me - feel free to send them along. I'd love to hear your suggestions. Anyway, before we headed to church or the to the park for our Easter picnic, we had an adult child Easter Egg scavenger hunt at home. After years of trying to up my egg hiding game without any success, I decided to do things a little differently this year. I prepared two separate sets of clues (one for the boys and one for the girls) and hid them inside of the plastic eggs. Each egg contained a clue with a riddle to solve in order to find the next egg. The final clue led them to a place where they searched for their Easter basket full of goodies. It took them a little over 30 minutes to find all of their eggs and ultimately find their baskets. Judging from the laughter, I think everyone had a good time. It's never easy to fit egg hunting, Easter basket unwrapping, breakfast, showers and church in on Easter morning. (Especially when you have adult children who like to sleep in past 7:00.) To be honest, our Easter egg scavenger hunt trumped breakfast this year and I'm pretty sure that none of us actually sat down to eat breakfast yesterday. 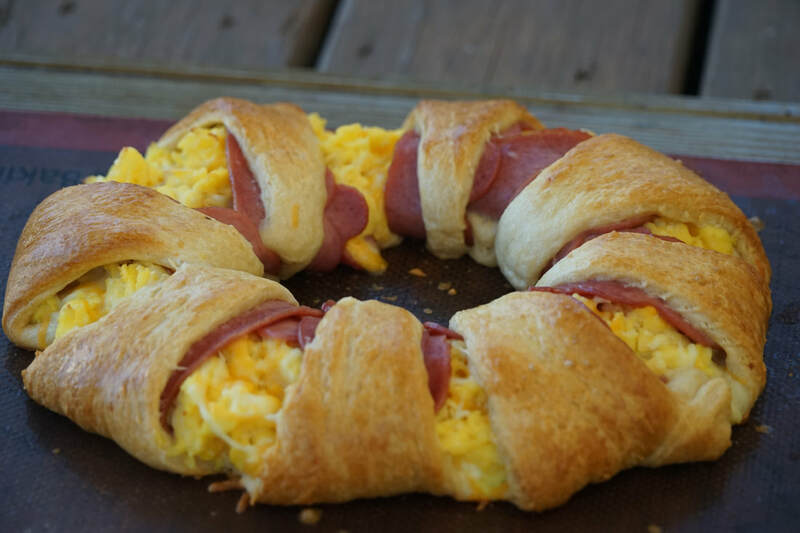 I served Crescent Roll Breakfast Ring, muffins, fruit and hard boiled eggs of course but most of what was consumed was eaten while in pursuit of the next clue on the scavenger hunt. And I've got to say - I was totally okay with that. Most days, I like to sit around the table with my family but on busy mornings, sometimes you just have to multitask. I'm not talking about eating a bagel while I'm in the shower or anything but grabbing breakfast on the run is not out of the question. 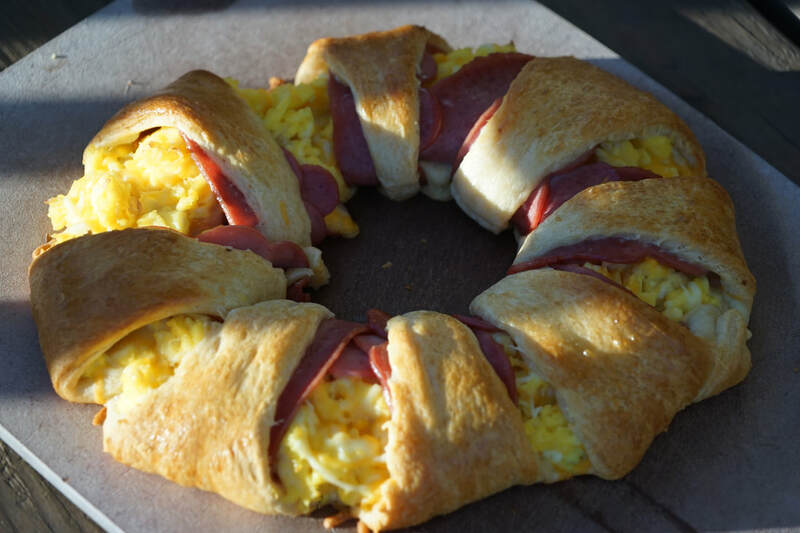 This crescent roll breakfast ring is great because once you slice it, it becomes a little personal, hand held egg sandwich. 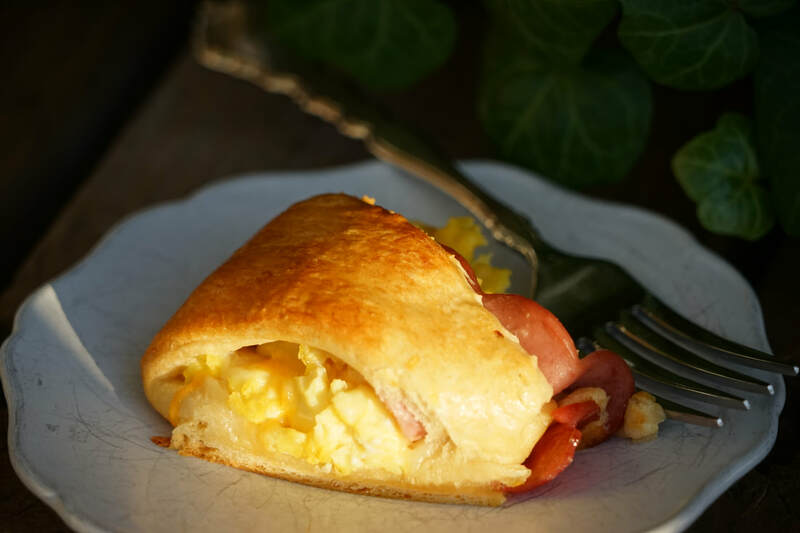 The bread, the egg and the bacon are all wrapped up in one neat little package. And it's delicious. 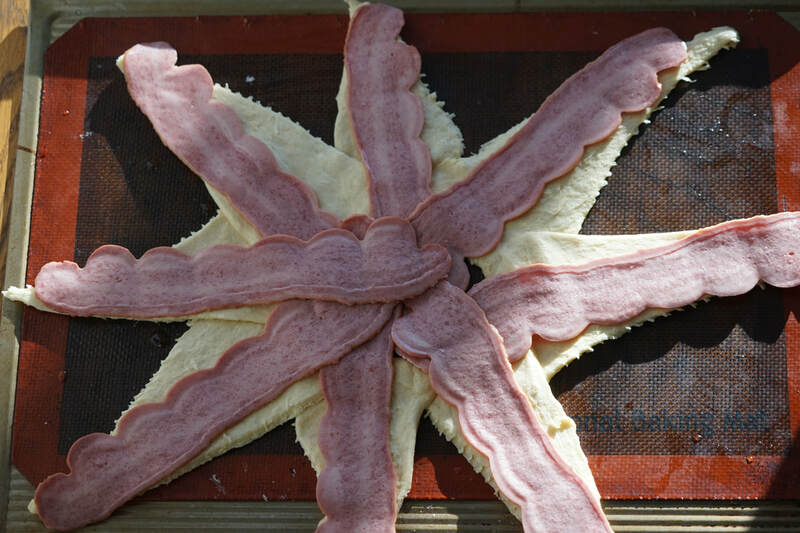 Fry Bacon. Beat the eggs with salt and pepper. 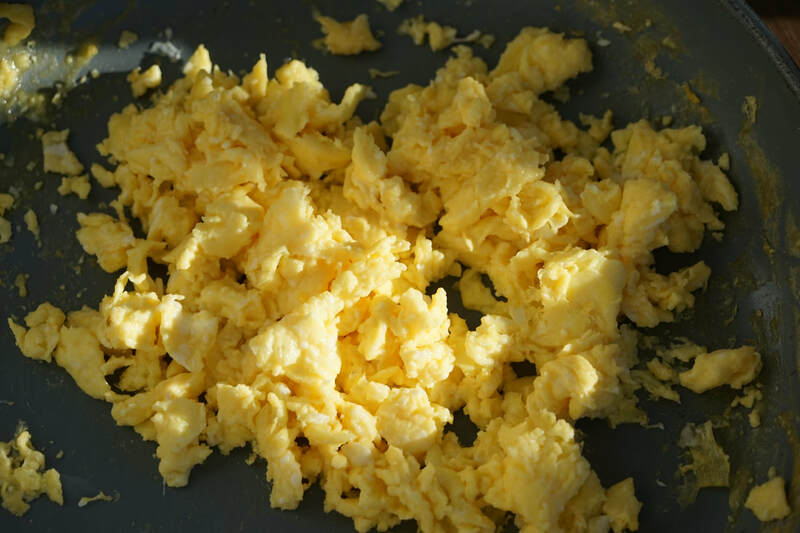 Cook the eggs in a skillet so that they're scrambled. 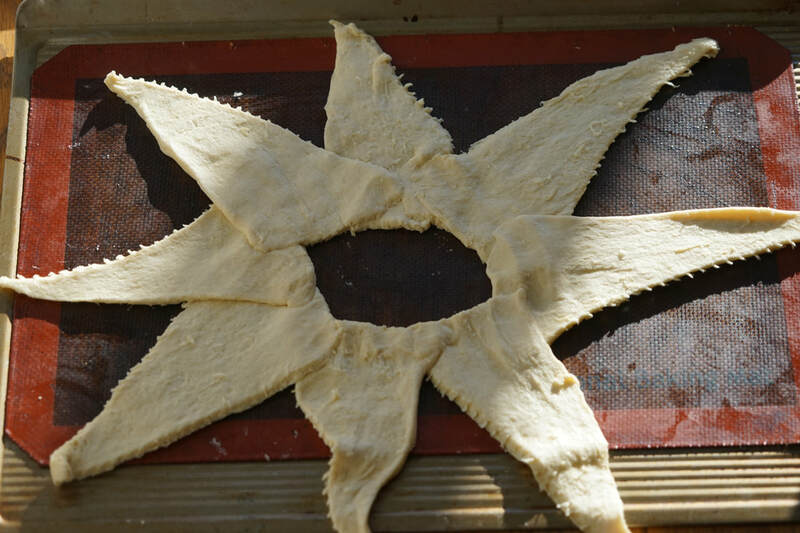 Lay out the crescent rolls on a silpat, like a star. 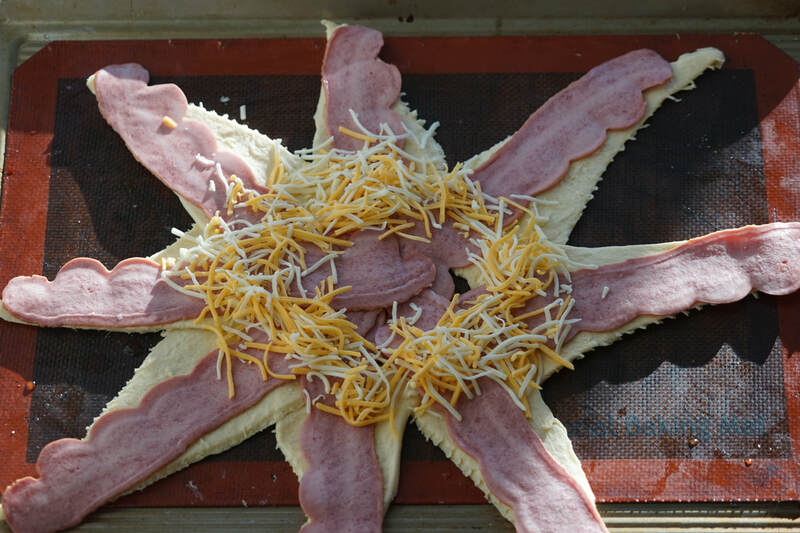 ​On each crescent roll lay a piece of bacon. 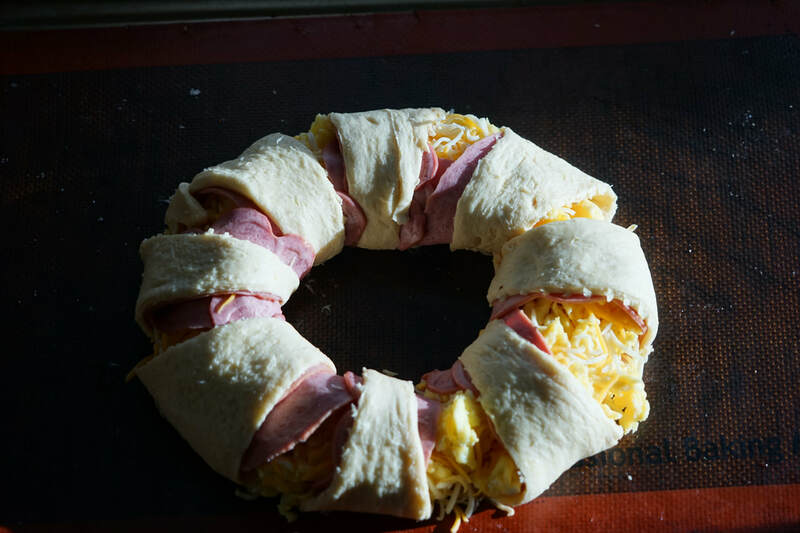 ​Add half of the cheese around the ring. 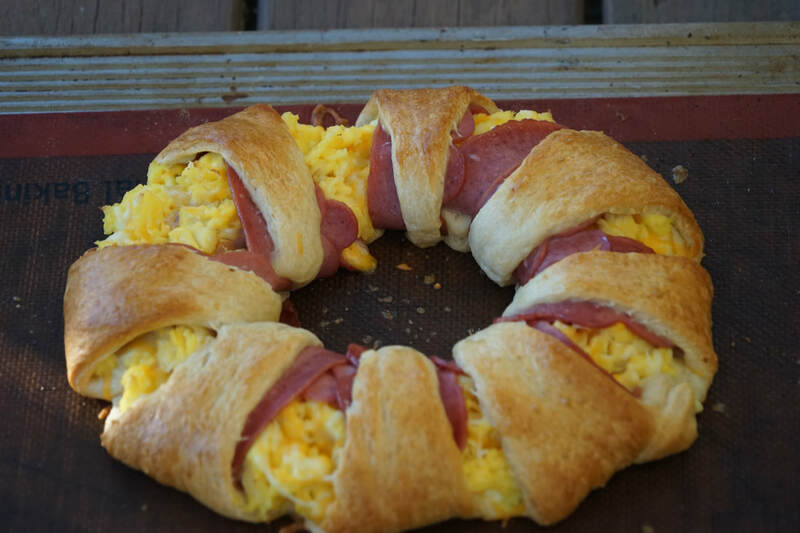 ​Add the scrambled eggs around the ring and top with remainder of the cheese. 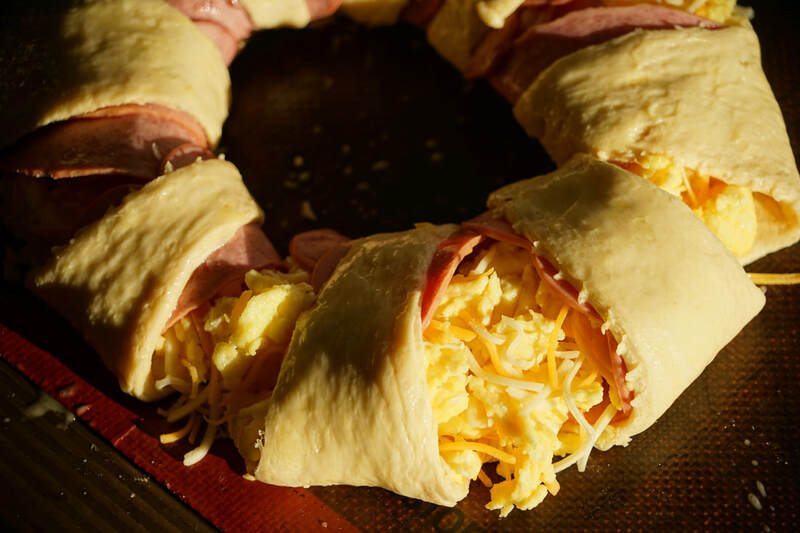 ​Brush with the egg wash.
​Bake for 20 minutes at 375 or until the crescents are cooked and golden brown. 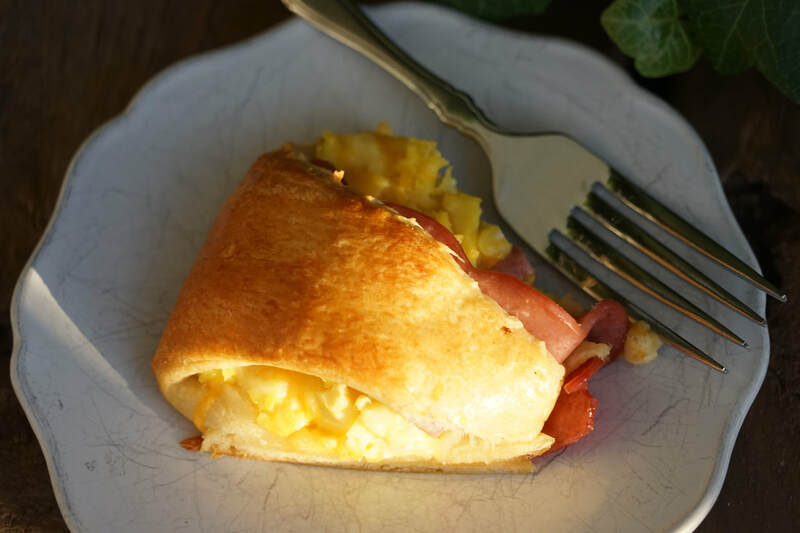 I've been making this with turkey bacon and I definitely want to try adding some fresh spinach to my next one. The original recipe had some diced red pepper mixed into the eggs as well. So many combinations - so little time. Has anyone else been disillusioned by a protein bar that was mascarading as a granola bar only to be disappointed after first chalky bite? 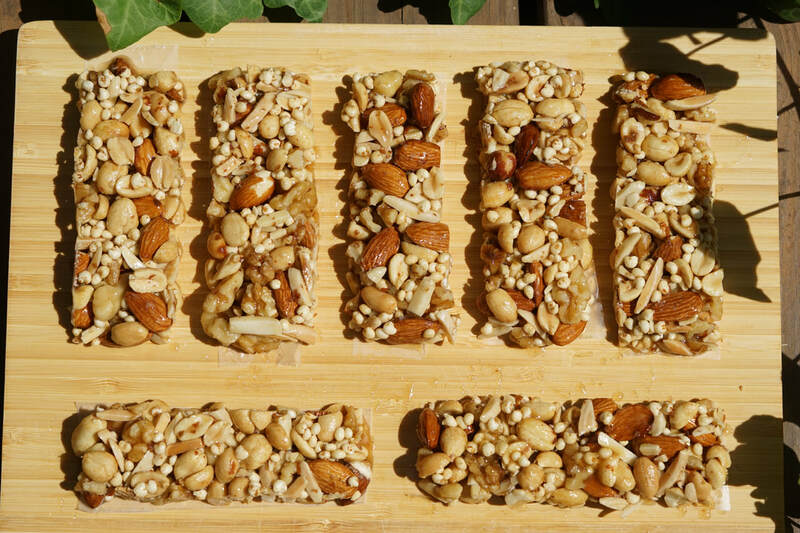 The best part about making homemade granola bars is that you can create exactly what you like. 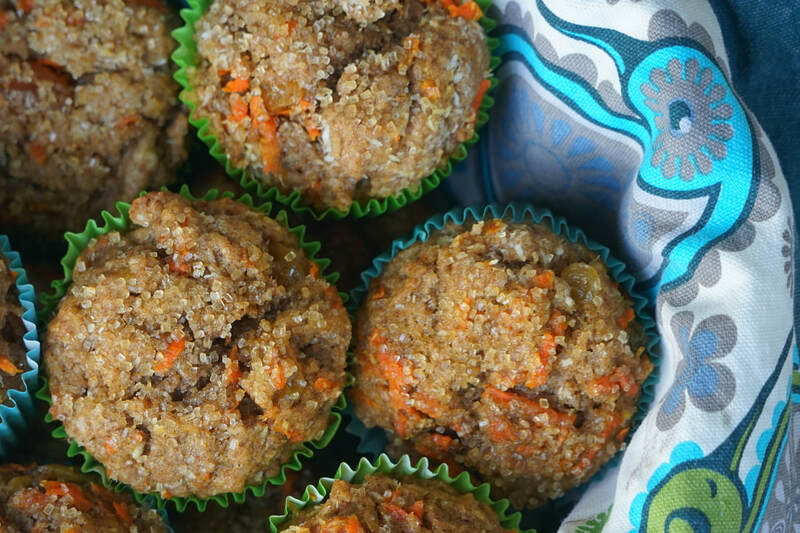 Sweeten em up, load em with fruits and nuts or pack them full of heart healthy whole grains. 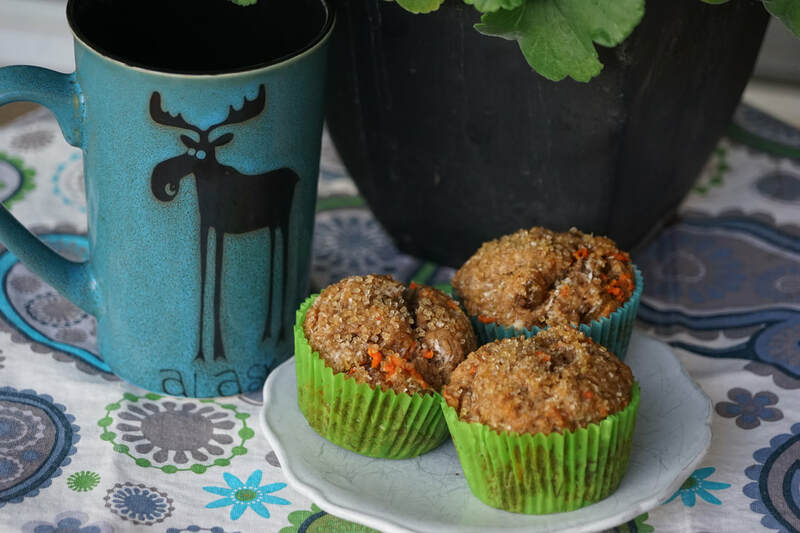 Whether your goal is to keep them on the healthy side or your aim is to create an all out sweet treat - there are a few things you need to know before you get started. 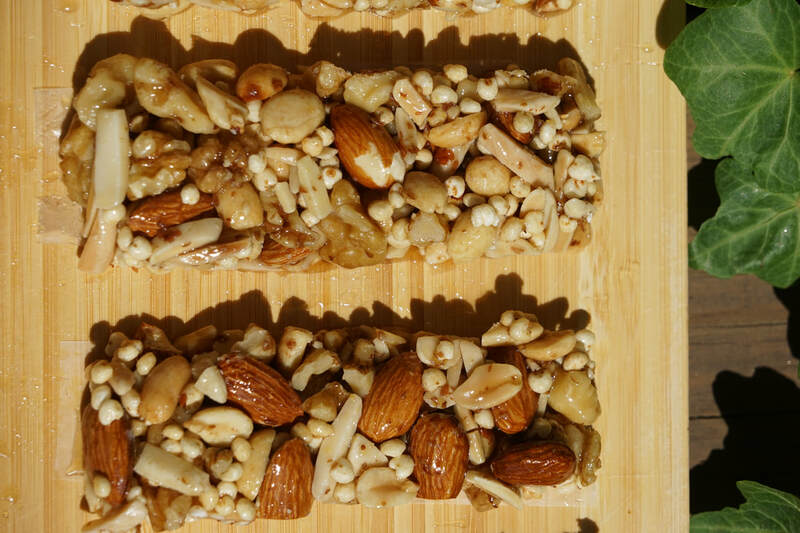 There are a lot of options when it comes to sweetening your granola bars. How much you add what type you add can really affect your end result. 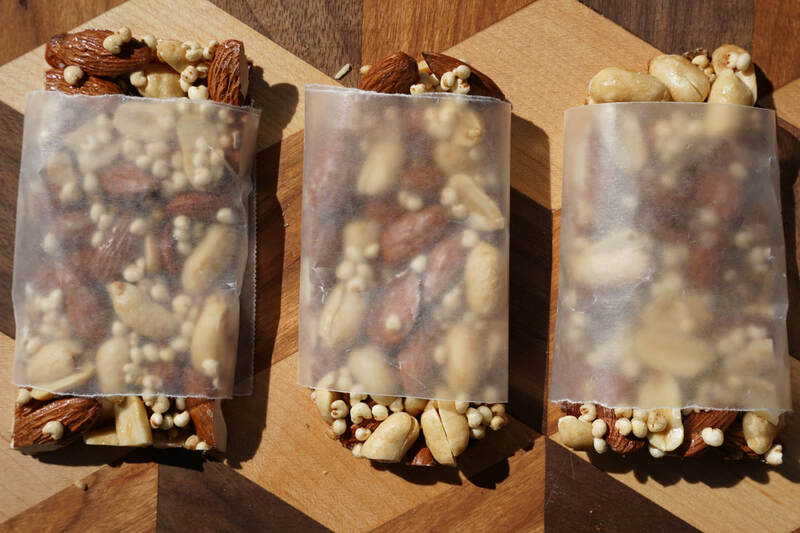 Here are some sweet choices to consider when making homemade granola bars. Obviously, this isn't a comprehensive list of possible ways to sweeten a granola bar - it's just the ones that I've tried and had some good luck with. 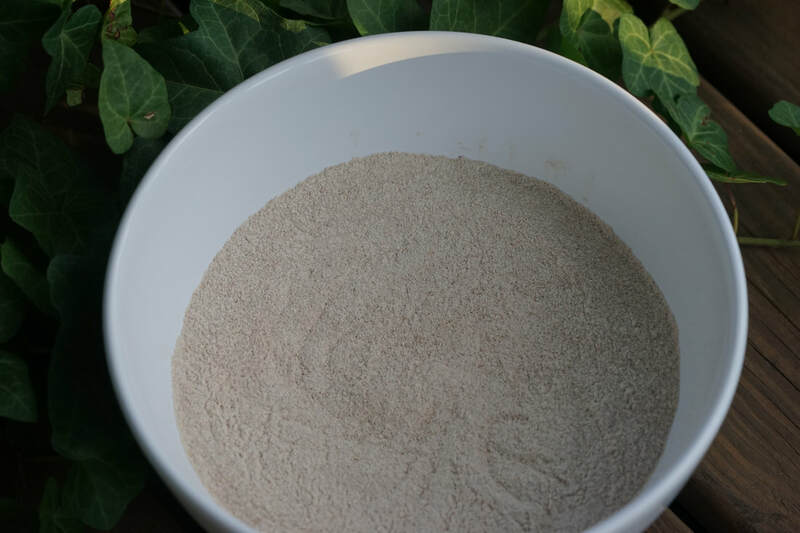 I normally use a combination of 2 or 3 of these sweeteners in my recipes. Did I mention that I like them sweet? 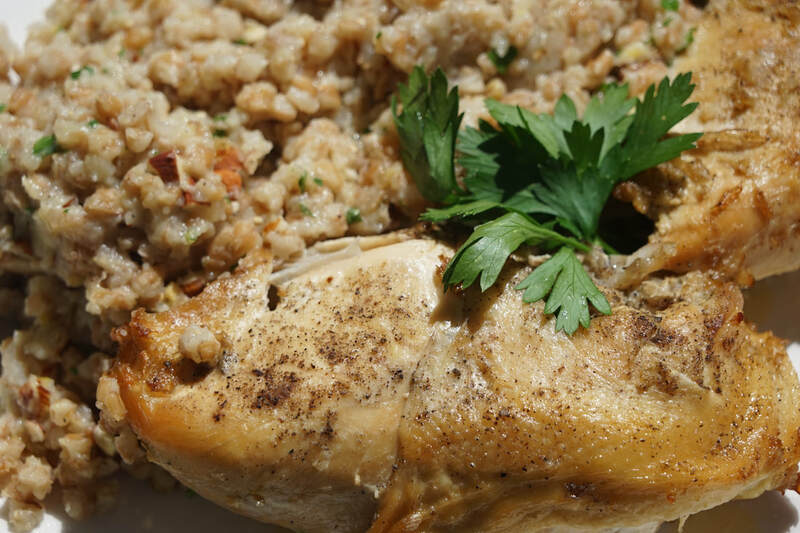 As for the grains - or the meat - of the granola bar, you've got plenty of options here too. These are my favorites. You can even boost the protein by adding a protein powder to your bars. 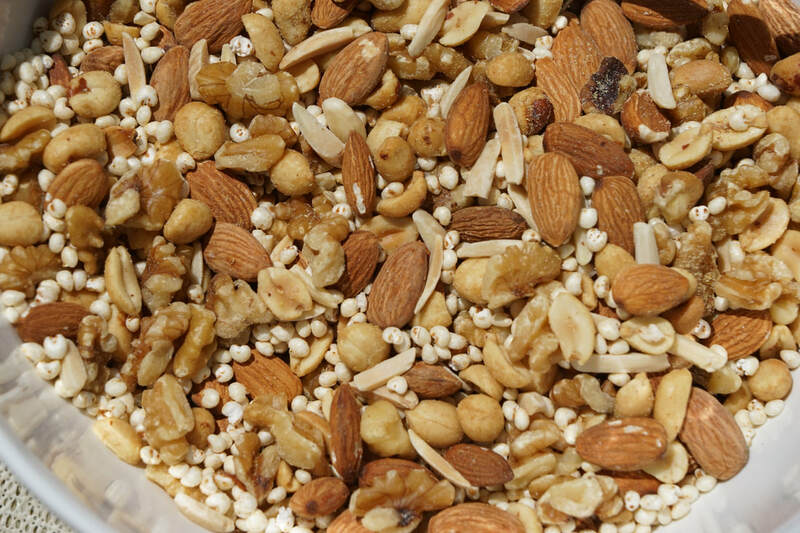 Next to the sugar, the nuts are the most crucial element in a great granola bar - in my opinion. 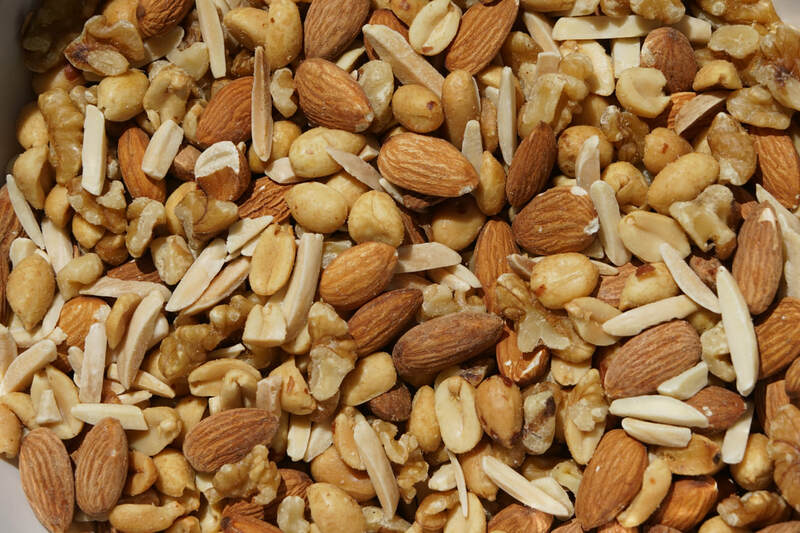 I'm a huge nut lover so I have strong opinions about which nuts are best for granola bars. Now for fillers. This is where I like to get creative. Salt and vanilla are a non-negotiable. 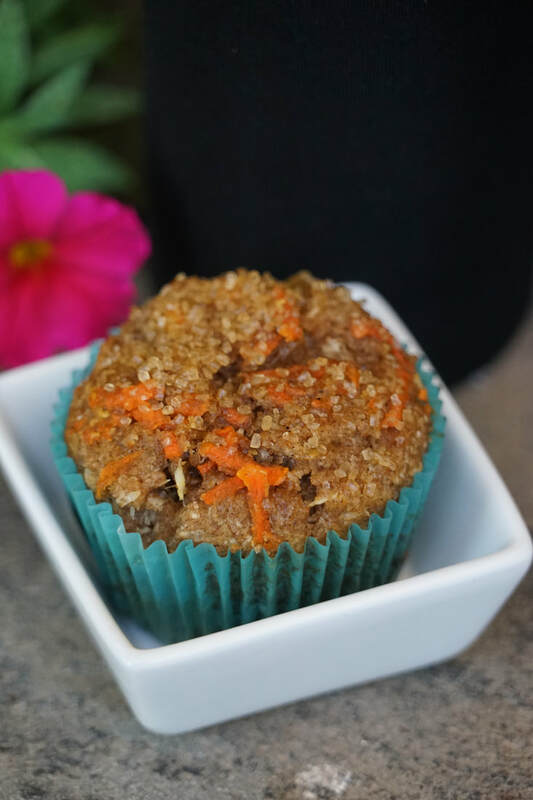 They are an absolute must have in all of my granola bar recipes. 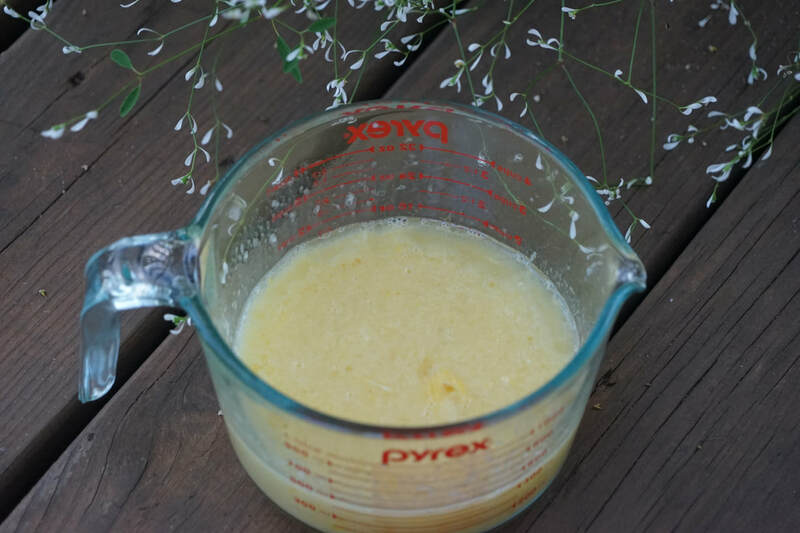 Occasionally, you'll run across recipes with added fat like butter, shortening or some sort of oil. A lot of soft granola bar recipes will also include an egg as a binder. 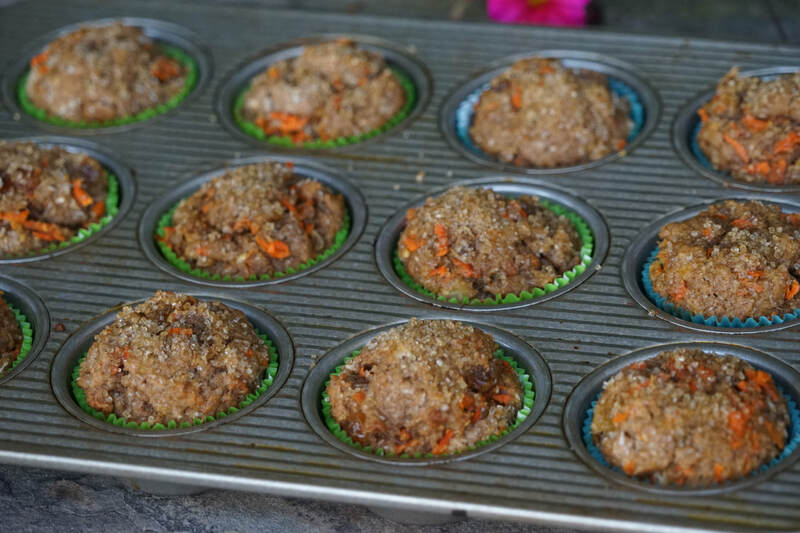 Some recipes require baking and others do not. 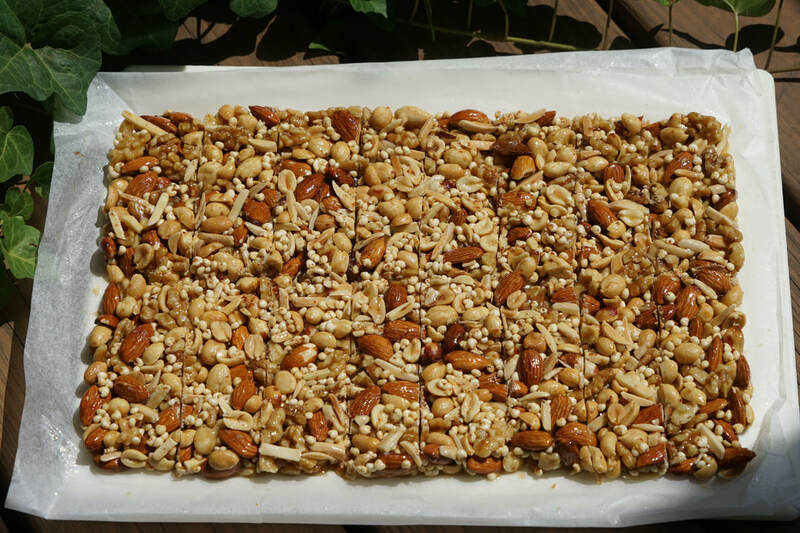 Granola bars are personal and there is unlimited number of options when it comes to making them. Overwhelmed yet? 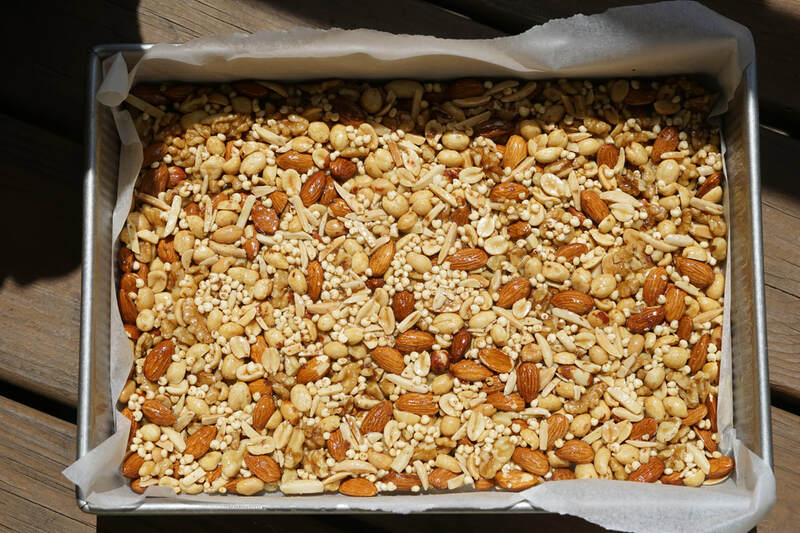 Don't let the number of options scare you away from making your own batch of granola bars though. 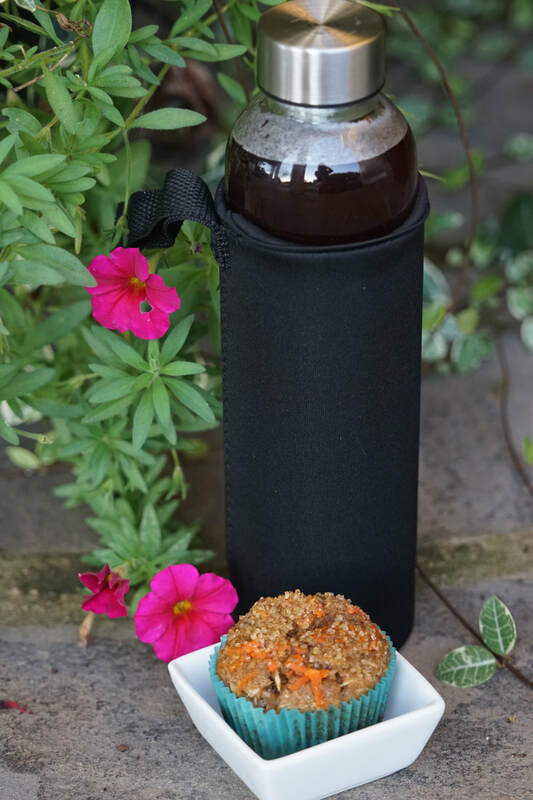 My goal is to give you some options so that you can make your own personalized granola bars. 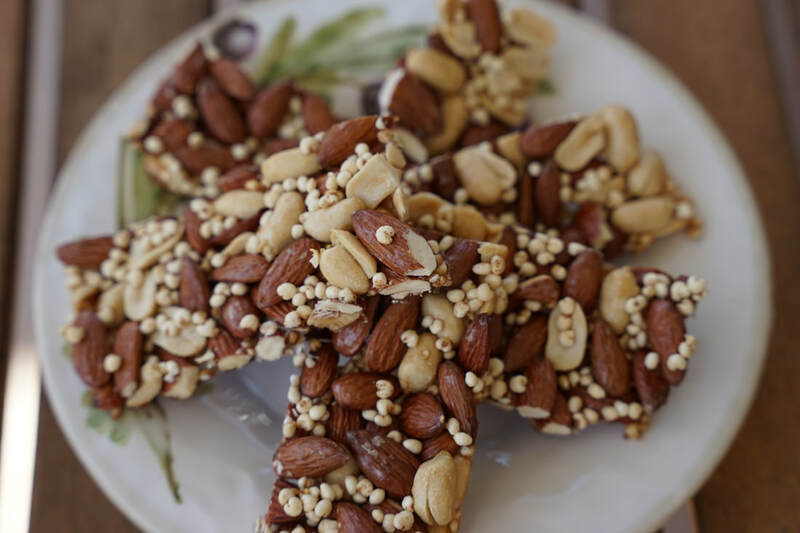 If you feel like you need some more guidelines, follow my simple instructions on the blog for Nut Bars or check out some of my other granola bar recipes. 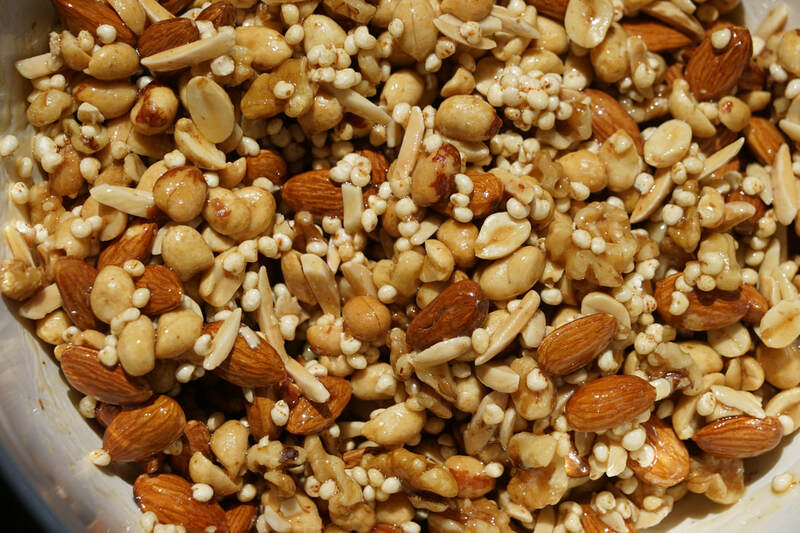 Stir together nuts in a large bowl. 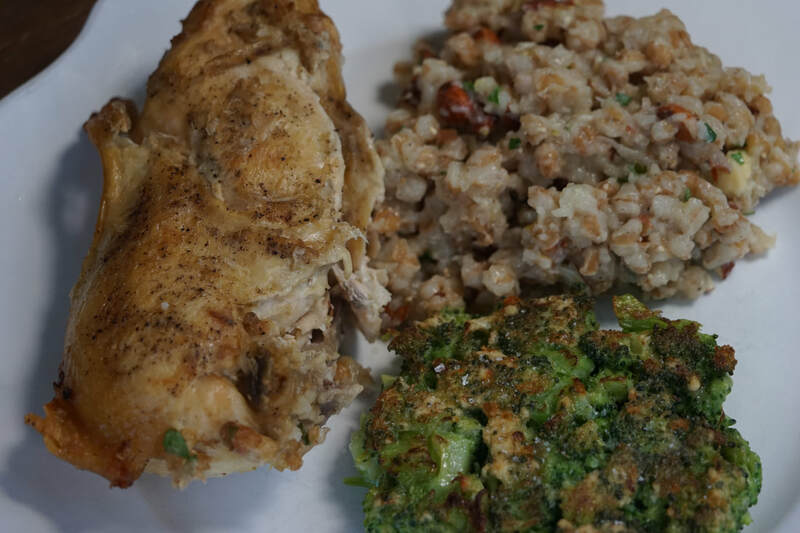 Stir in millet and flaxseed. 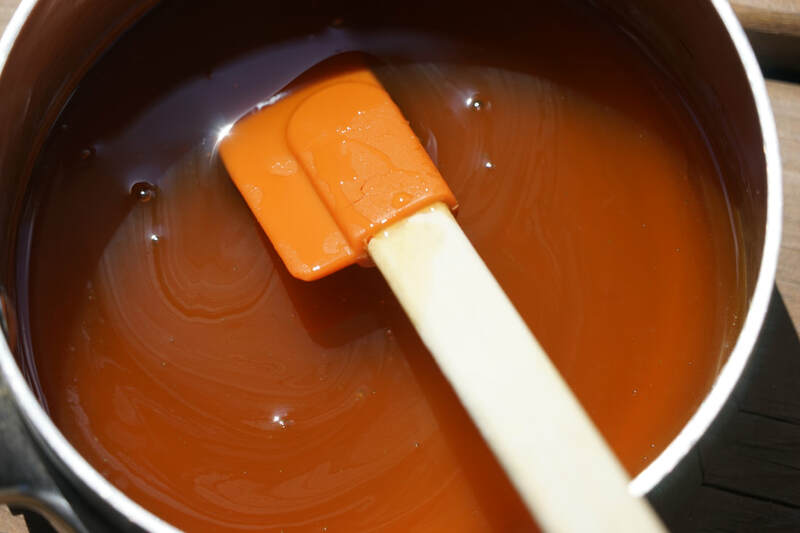 Stir together honey, brown rice syrup, salt and vanilla in saucepan. Heat to 260. Pour over nut mixture and stir to combine. 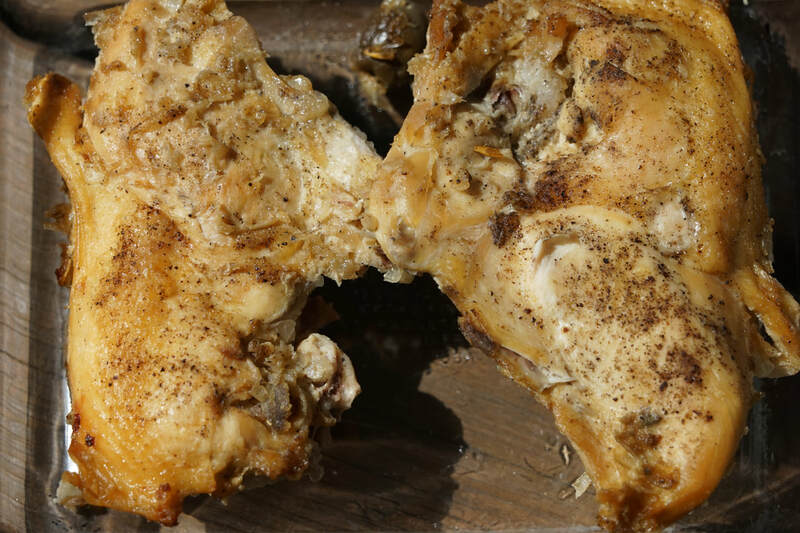 Press into a parchment paper lined, greased 9x13" pan. I'm not going to sugar coat it - I love these granola bars. There's very little filler - mostly sugar and nuts. What's not to like about that? 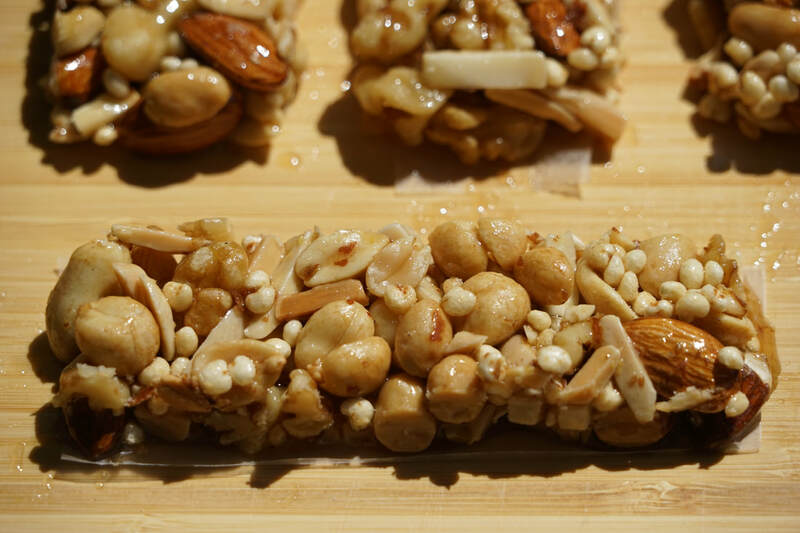 If you're a fan of Kind Bars - you will love these granola bars. I haven't calculated the calorie content in these nutty little bars of sweetness but they're definitely sweet enough to be a satisfying dessert. 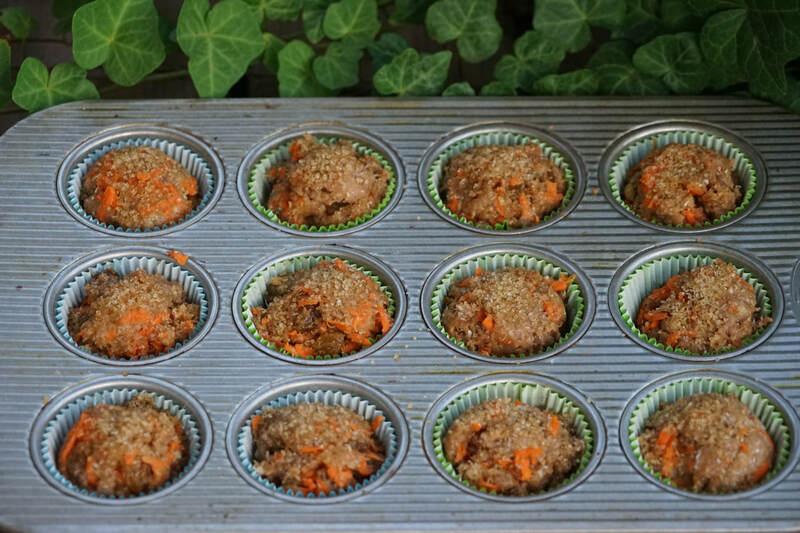 Just make sure that you store these in the refrigerator - they tend to get sticky if left at room temperature too long. Great things never come from our comfort zone. Do you agree? I'm the kind of girl who likes to live with familiar and comfortable routines. Don't we all really? I prefer a predictable and reliable lifestyle. Why mess with a good thing? But great things usually happen when I'm OUTSIDE my comfort zone and not living my comfortable and predictable life. Travel is one of the best ways that I've found for me to stretch my boundaries and get outside my comfort zone. I get accustomed to viewing the world from my own front door. My little circle of existence gets very small when I spend too much time without leaving it. It doesn't take a long or expensive vacation to broaden my perspective and get me out of my comfort zone though. A day trip to the mountains, a hike through the forest or an afternoon spent on the lake can really reset my navigational beacon. It's not in my normal routine to do any of those things but they really are great ways to expand comfort zone. I also have a cooking comfort zone but today I'm going to challenge myself to get just a little bit out of my culinary comfort zone. 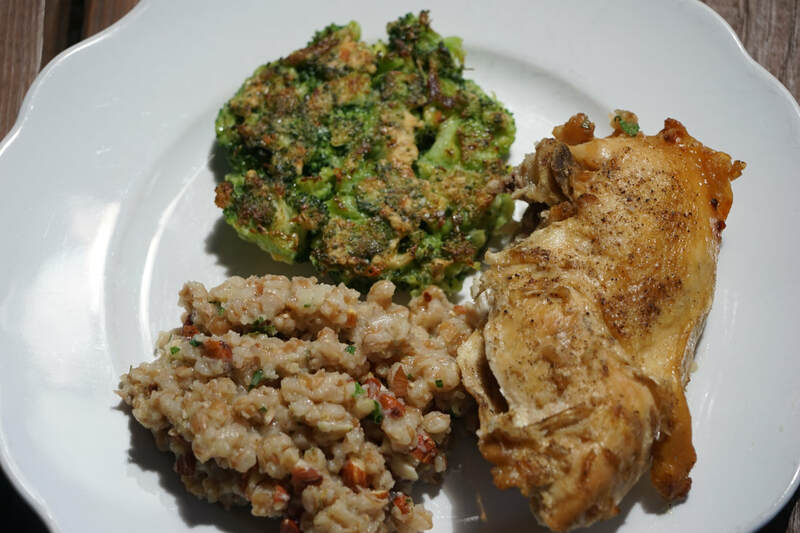 Adding a new grain or a new kind of olive into my diet can be just the thing that I need to break myself out of my comfort zone cooking. 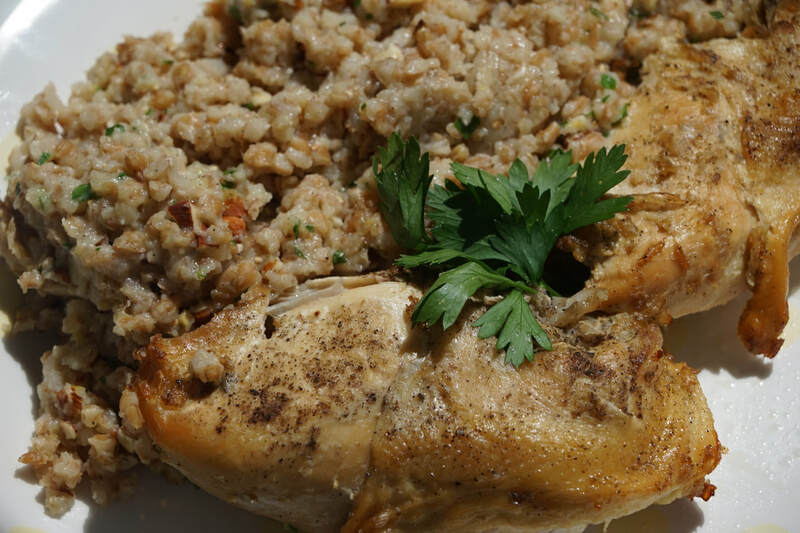 Pulling out the slow cooker, picking up some farro and Castelvetrano olives and putting together this uber-tasty chicken dinner for tonight. 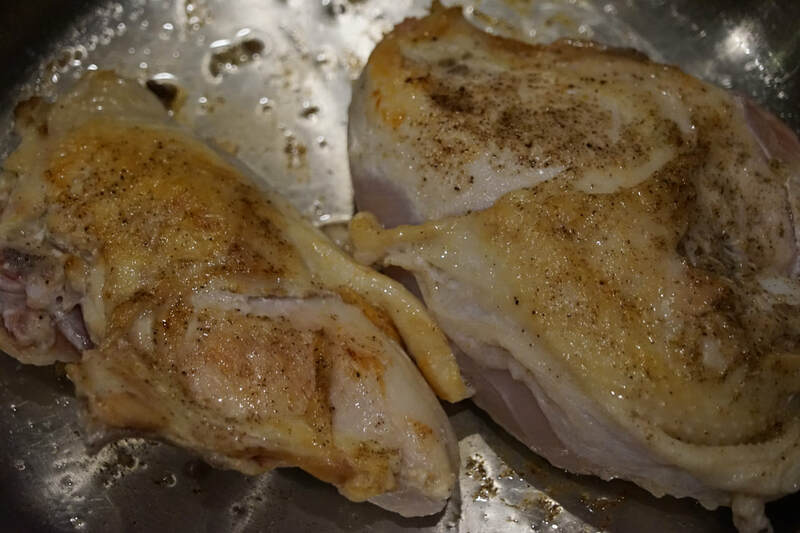 Great things happen when I break out of comfort zone cooking. 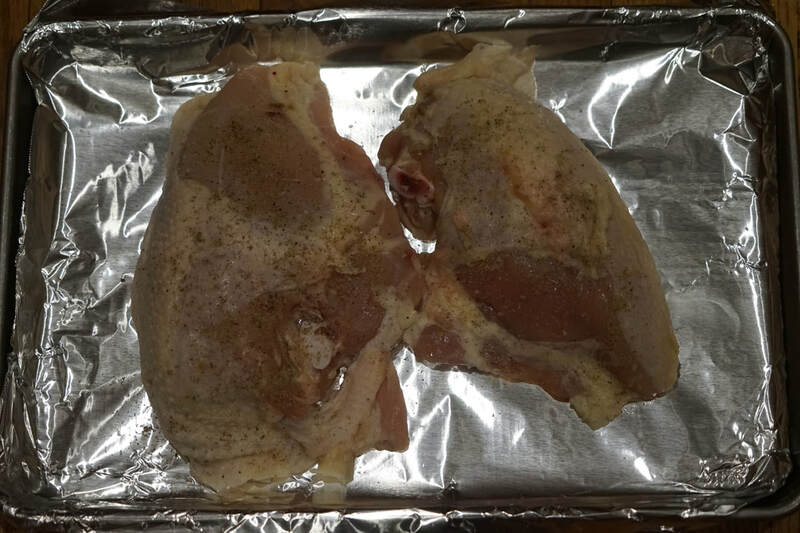 Heat oil in skillet and brown chicken on each side. 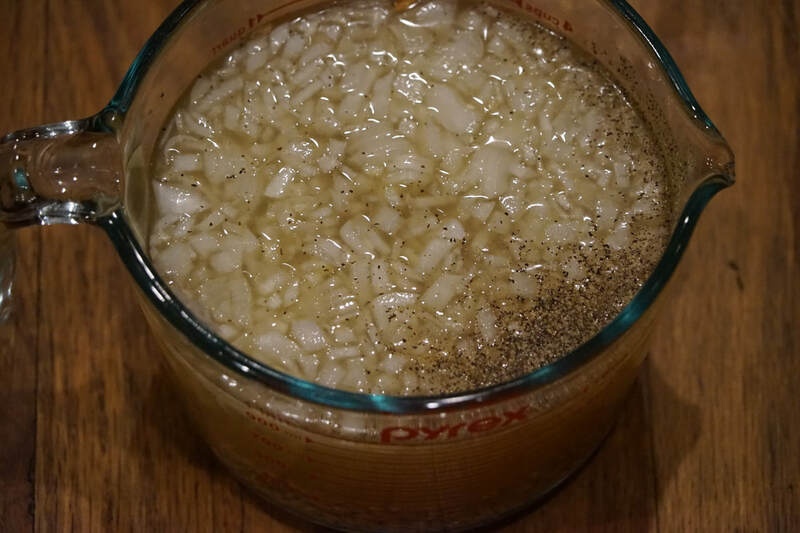 Stir together broth, farro, onion, 1/4 t. salt and 1/4 t. pepper. 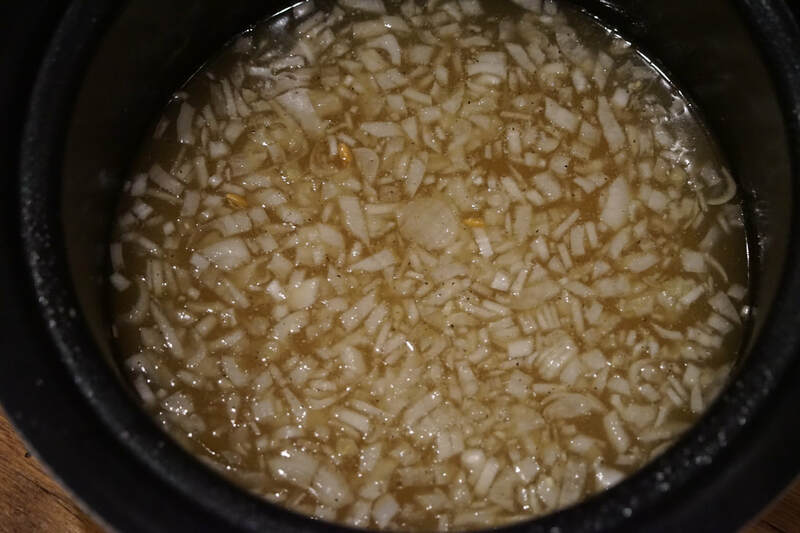 Spray slow cooker with cooking spray and add broth mixture. 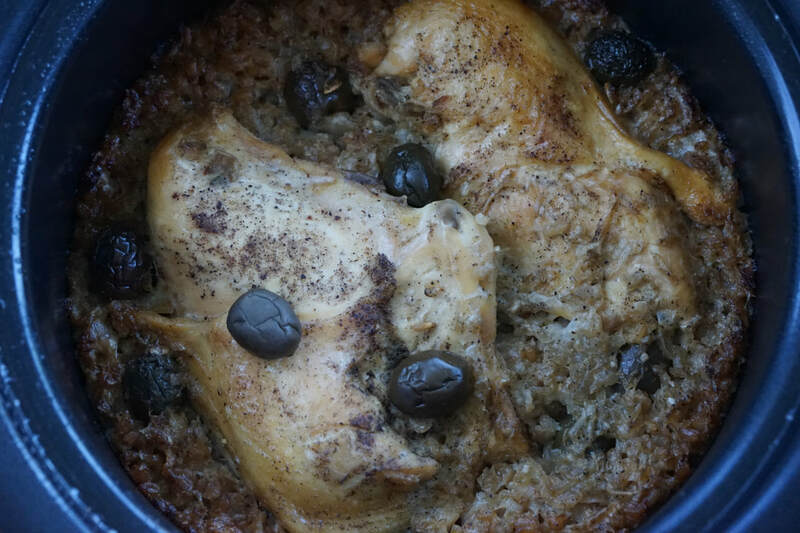 Top with chicken and olives. 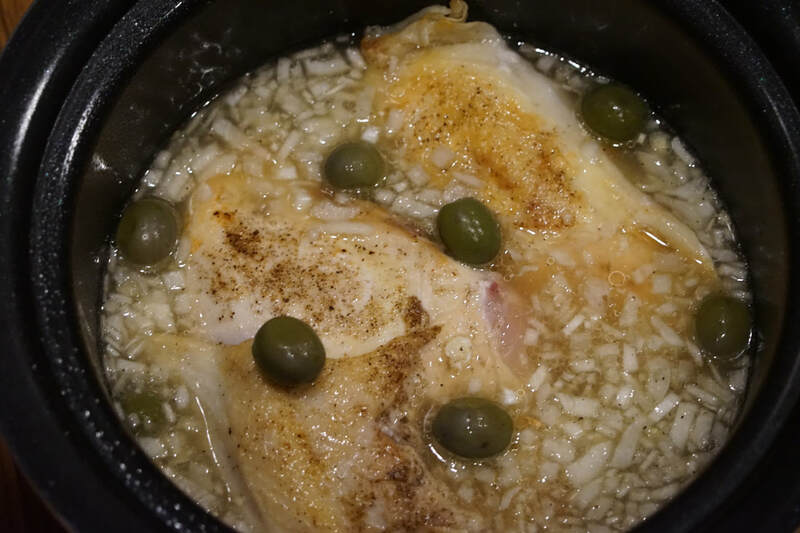 Remove chicken from slow cooker. 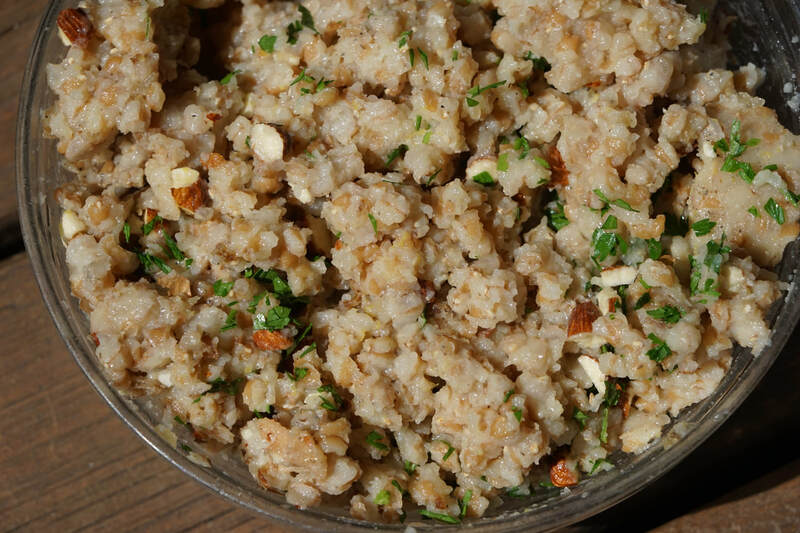 Add parsley, almonds, lemon juice and zest, garlic and red pepper to farro. 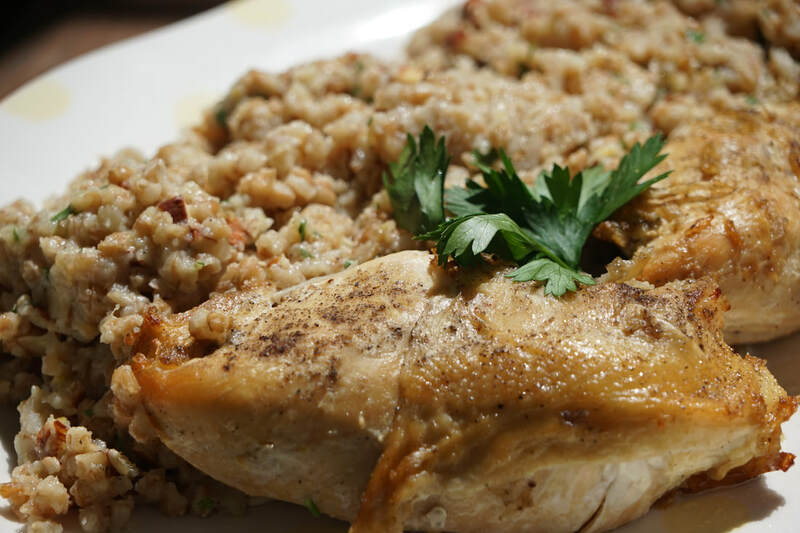 The beige pictures of this chicken dish don't really do it justice. The briney olives, the bright lemon zest, the crunchy almonds, the spicy red pepper and the fresh parsley all work together beautifully to create a dish that is absolutely bursting with flavor. 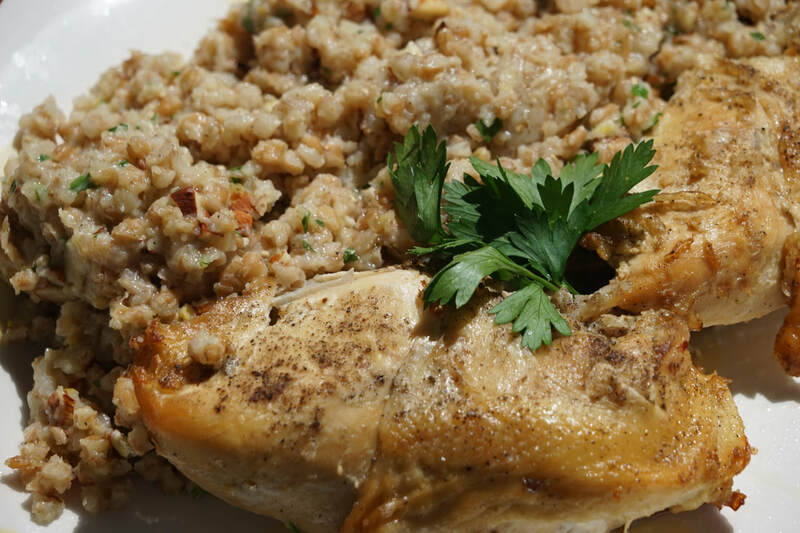 I love the way that the farro perfectly compliments the chicken and visa versa. And the fact that you can toss it all in your slow cooker and walk away for 8 hours is just an added bonus. 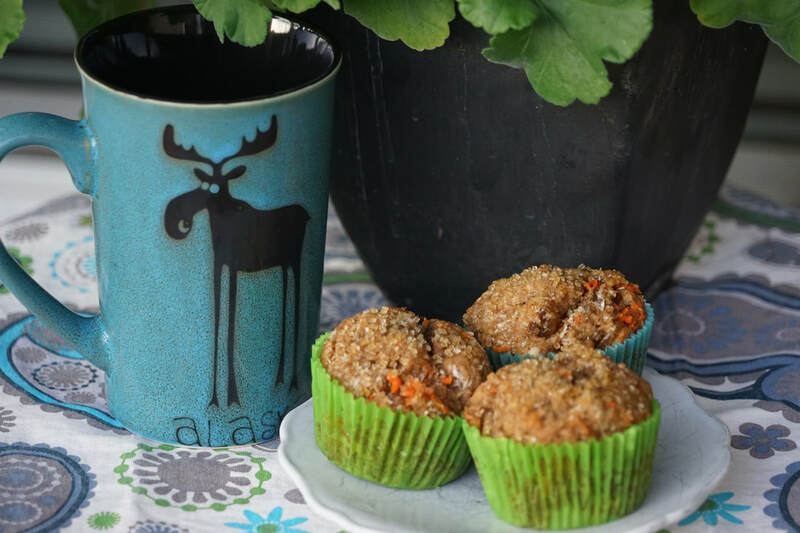 Are you the kind of person who prefers a cup or two of coffee in place of a morning meal? According to my research, you're not alone. 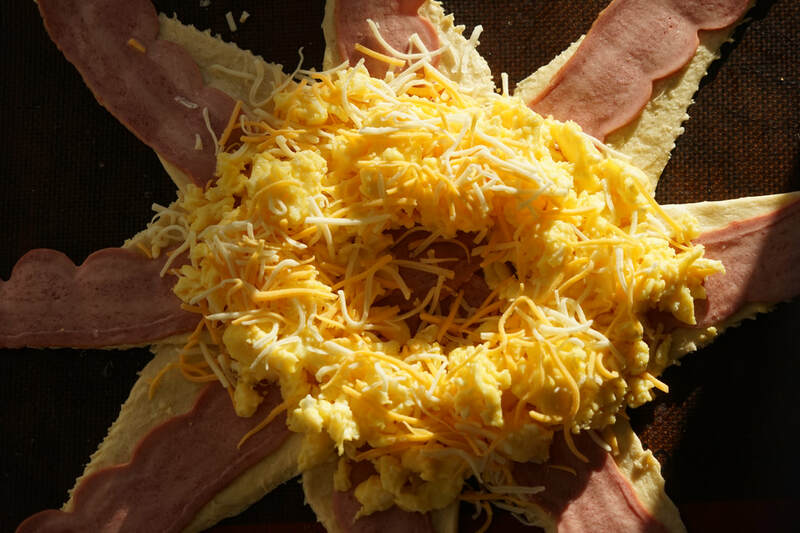 31 million Americans are skipping breakfast on a regular basis. SKIPPING BREAKFAST! I'm not opposed to coffee but I just can't understand why in the world would anyone want to miss out on the most delicious meal of the day. Crispy multigrain toast, chewy bagels, crunchy granola, yogurt with fresh fruit, Belgian waffles, fluffy pancakes, gooey cinnamon rolls, hearty muffins, avocado toast - do I even need to go on? 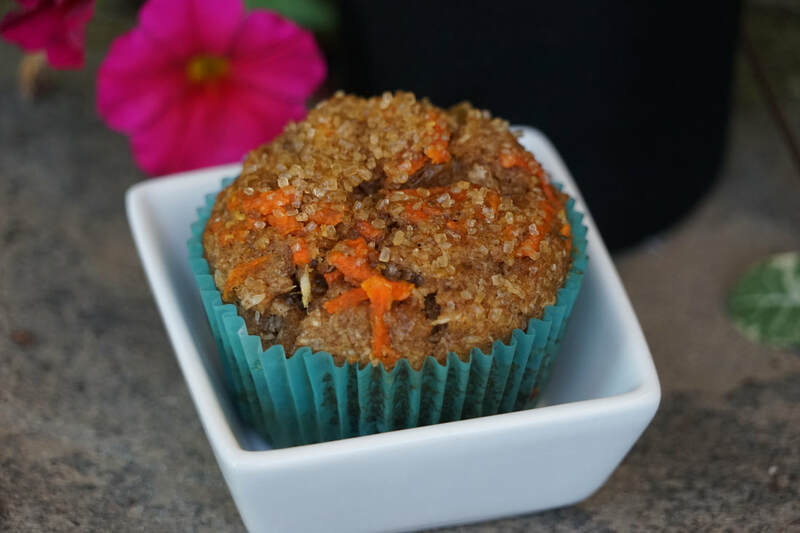 Why in the world someone would want to miss out on indulging in some of these amazing confections? I love breakfast food so much that eating it once a day doesn't seem like nearly enough. I eat breakfast for dinner at least once a week. I'm not a morning person by any means. I love breakfast but I don't want you to get the wrong idea about my morning routine. If you're picturing me in my kitchen at 6:00 AM preparing coffee cake and vegetable egg white omelettes for myself - you couldn't be more wrong. I'm more of a prep breakfast before I go to bed, kind of girl. I climb in bed at night thinking about the scrumptious nourishment that I already prepped for my morning meal. 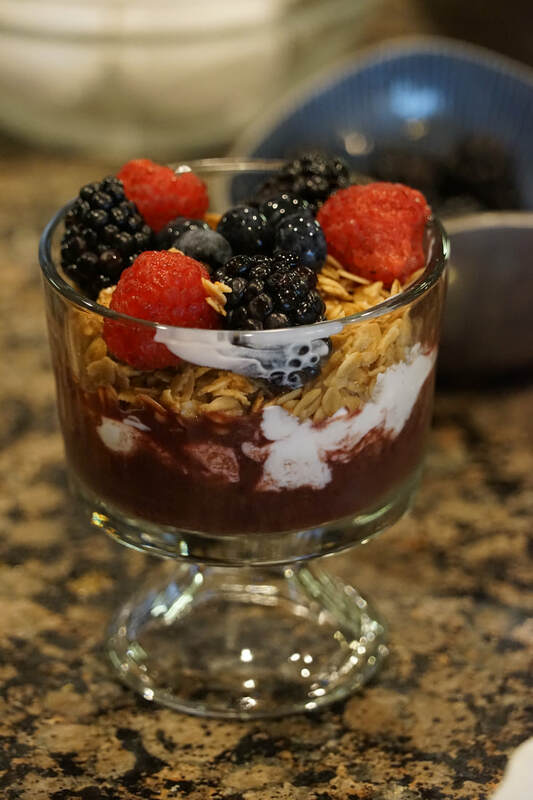 If you need some make ahead breakfast ideas, check out my recipes for overnight oats, yeast waffles, overnight cinnamon rolls or egg casserole. Clearly, there are some people who crawl into bed at night dreaming about the steaming cup of hot coffee that they will drink in the morning but that has never been the case for me. 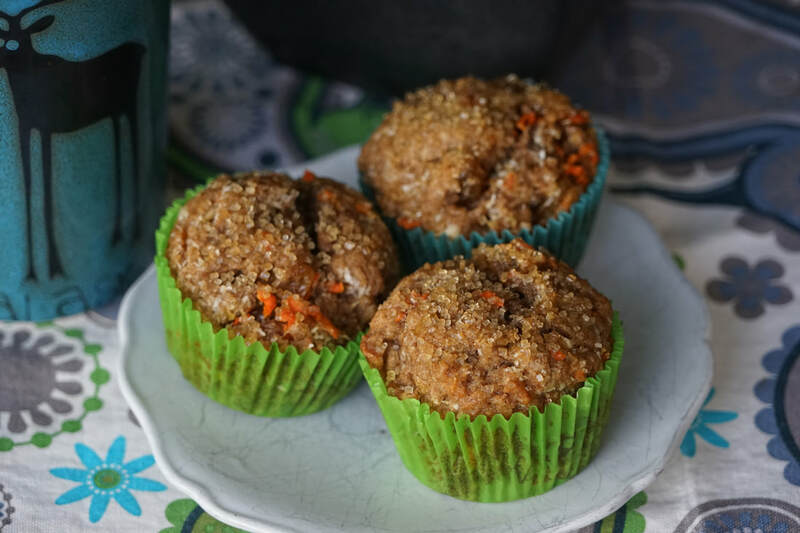 Whole wheat muffins packed with carrots, pineapple, raisins and coconut - now that's the stuff that MY dreams are made of. 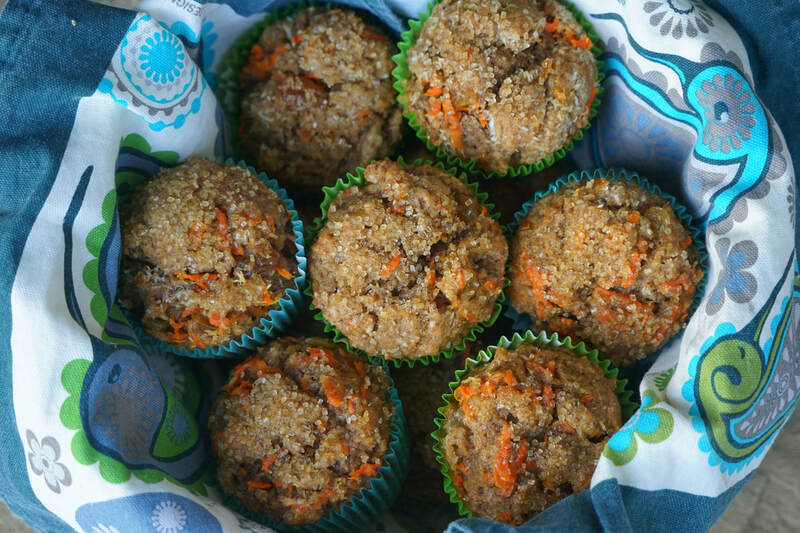 As long as there are morning glory muffins around - there's just no excuse NOT to eat breakfast. 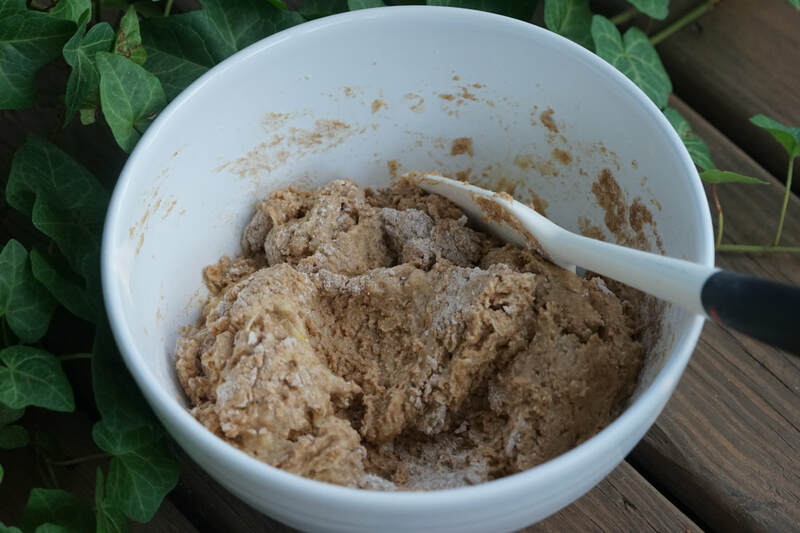 Whisk together flour, sugar, baking powder, baking soda, cinnamon and salt. 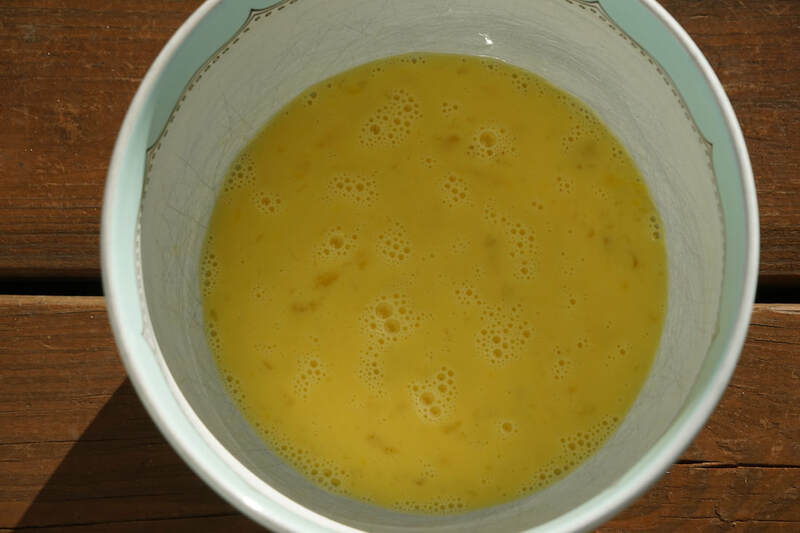 Beat together oil, eggs and pineapple. 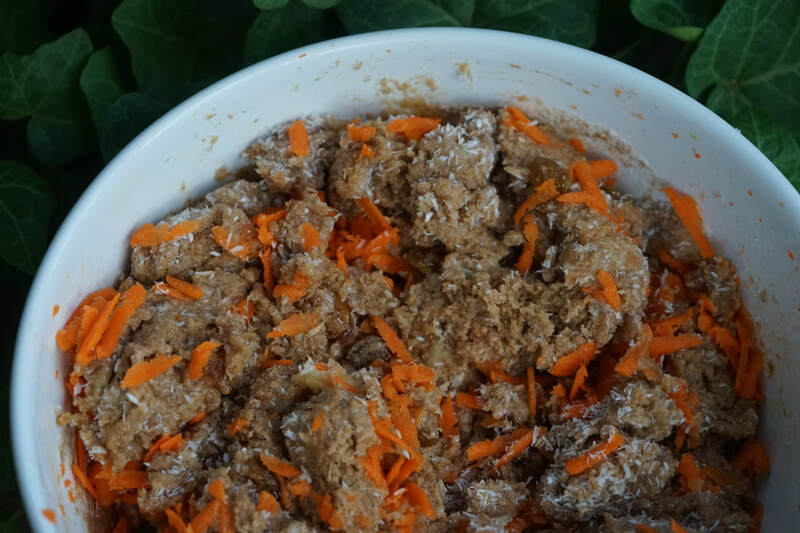 Fold in carrots, raisins and coconut. Cool on wire rack. Enjoy.